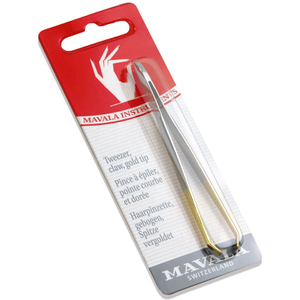 Preen and perfect your brows with the Mavala Claw/Tong Tweezers. Featuring gold-plated tips that close evenly and firmly for advanced pulling power, the tweezers allow you to grip even the smallest of hairs without slipping or breaking for a professional finish. Depilar siempre en la dirección del crecimiento del pelo.